Enjoy one of the most beautiful railway lines of France – the one of the Cevennes. 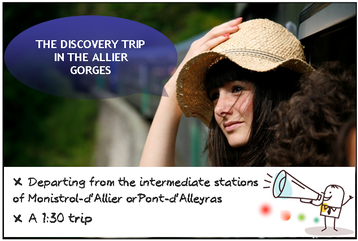 The "train touristique des Gorges de l'Allier" takes you through wild gorge where no roads go. On the train - while following as closely as possible the meanders of the river - you can enjoy a great view on the wild gorges. See the river that flows sometimes slowly, sometimes swiftly through a natural setting that reminds you of Canadian landscapes. 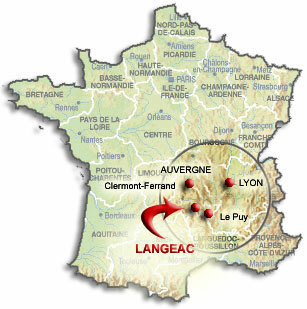 The longest trip between the towns of Langeac and Langogne allows you to see the whole gorge. maybe the tourist train runs near your holiday accommodation? 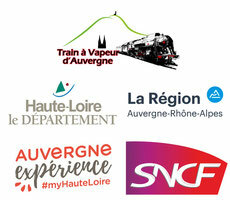 So join us on the way in the intermediate stations of Monistrol-d’Allier or Pont-d’Alleyras where the tourist train always makes a short stop. Reservations are mandatory. This option is for those who want to make a short trip through the gorges and stop in Monistrol-d’Allier to go swimming or hiking. It is a suitable option for families with young children. 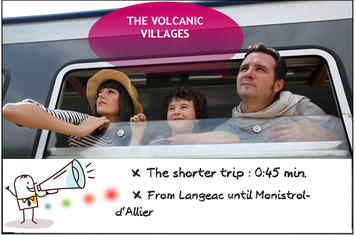 This VIP option allows you to discover the gorges with your eyes as well as your papilla. 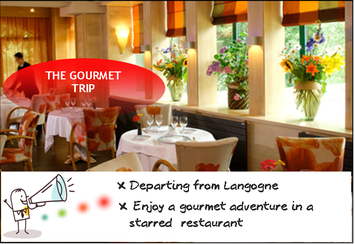 The train leaving from Langogne drops you off at the gastronomic restaurant -Le Haut-Allier- in Pont-d’Alleyras. Once arrived, there are many things to do from lazing on equipped bathing areas (the beach of Monistrol-d’Allier or the Naussac Lake near Langogne) to discovering hiking paths (the Way of Saint James in Monistrol, or the local hiking trails around Langeac and Langogne) or the local heritage with a tourist guide.